According to the latest rumors, the company is about to launch a new smartphone named as C9. C5 and C7 are the previous smartphones of the C series. The model number of the smartphone is SM-C9000. The phone is code-named ‘Amy’ as per the information leaked from the inside of the company. The company is looking for upgrading the specs with this device. Like C5 features a 5.2-inch screen, and C7 features a 5.7-inch display. The new C9 features a screen with about 6-inch display. As observed from the pictures leaked, it is concluded that the smartphone is a metal made smartphone and also has a feature of the fingerprint sensor. The phone is expected to have rounded corners and uni-body construction. 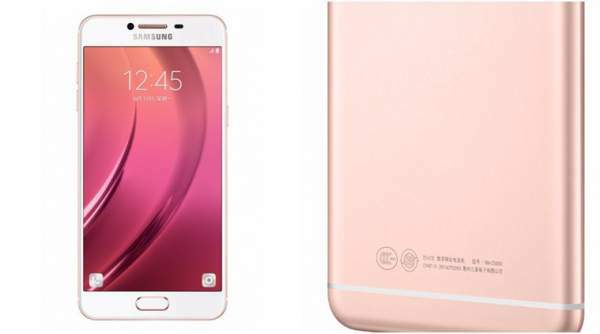 According to the expected Galaxy C9 specifications, it will sport a 5.8-inch AMOLED display with 1080p. The smartphone supports Snapdragon 650 chipset with a battery of about 4,000 mAh. While the previous devices of the series C5 and C7 have a battery of 2,600 mAh and 3,300 mAh respectively. The device is also expected to be packed with Android OS Marshmallow v6.0.1. The company might offer a RAM of 4 GB in this product. The primary camera supposed to be 16 megapixels and 8 megapixels secondary camera. The device will have 32 GB of expandable internal memory. The smartphone supports 2G, 3G and 4G network connectivity. It is also expected that the Samsung C9 will launch only in China as the C5 and C7 are still sold in that country. There is no estimation of the price of the device. But it will be costly than the C7. C7 costs Rs.28,600. So, Samsung Galaxy C9 price will be about Rs 34,000. This is the estimated price. This device will be facing problems to set up because in China, the local companies like Oppo, Huawei are dominating and try not to set up Samsung in their country. For more updates, Stay tuned and do subscribe to the website.